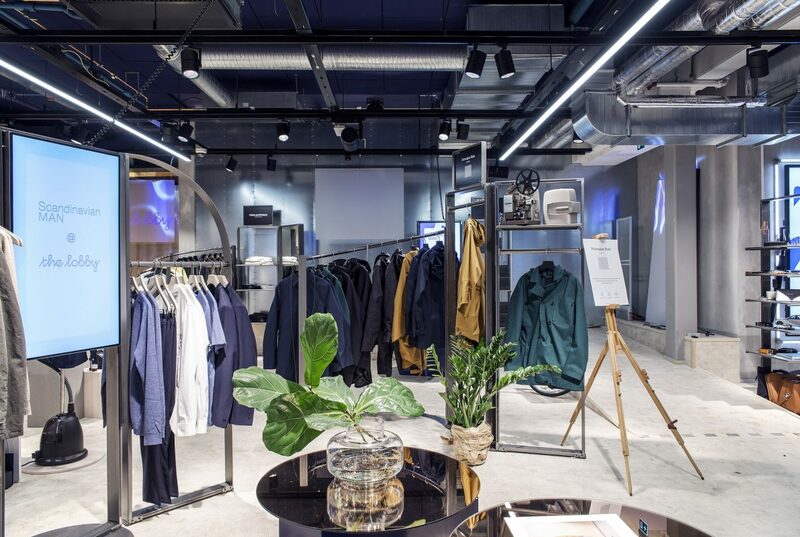 With their eyes on the future of retail, The Lobby boutique has opened up on Regeringsgatan. The store aims to be a testing ground for new trends in shopping. It can be thought of as a streamlined and flexible take on the modern shopping centre. Instead of a department store building hosting multiple stores, it will instead host smaller stands and stalls for brands across a 900m2, two-floor venue on Regeringsgatan. The brands the store hosts will be on flexible, short-term contracts, allowing for easy changeover and transition, which means that visitors can expect a different range of stores and retailers every time they visit The Lobby. Annelie Gullström of The Lobby’s parent company AMF Fastigheter says: “We have created a place where Stockholmers and the city’s visitors can experience products, services and solutions from international and Swedish brands. The Lobby is a place in constant renewal, which can be compared to a lifestyle magazine. We will be continually changing and updating the store’s contents, and will develop together with our brands and customers”. The Lobby is now open with brands including Haglöfs, Visantine, Alkeback, Horizn Studios, Coatally, Urbanista, Deadwood. There will also be a section entitled Edit, which will be curated by industry insiders, starting off with lifestyle magazine Scandinavian Man. Food and drink is available from the onsite Cavabaren. “Digitilisation changes the way we see physical boutiques, and the demands we place on the experience. The entire industry needs to find ways to renew itself, to think anew and to take advantage of digitilisation’s opportunities. The Lobby is our way of taking the next step towards the boutique experience of the future”, says Gullström.